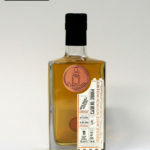 The whisky has been matured in American oak barrels before bottling. 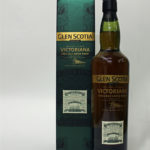 The distillery describe this whisky as having a signature nose which has hints of vanilla oak, interwoven with the subtle notes of sea spray and spicy aromatic fruits. 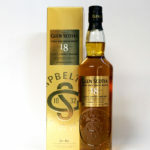 The Glen Scotia 18 Years Old has been gently matured in refill bourbon casks and refill American oak hogsheads before being finished in Oloroso casks for 12 months. 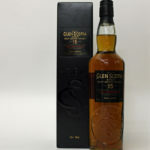 This wonderfully peated Glen Scotia single malt was matured in refill American oak hogsheads delivering a gentle sweet peat smoke with citrus and subtle spice as is the character of Glen Scotia distillery. These casks are then vatted together and finished in demerara rum barrels for eight months bringing a soft, melted brown sugar sweetness that compliments the peat smoke. 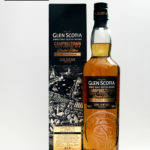 Bottled to celebrate the Campbeltown Malts Festival 2019 Opens on a gentle sweet peat smoke, then citrus notes of lemon peel and pineapple juice. There is some vanilla syrup and pepper grinds with cinnamon and ginger spice to finish. 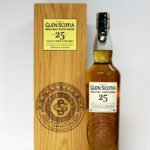 The Distillery tell us 'Glen Scotia 25 Years Old has been matured in the finest bourbon casks with the finest ones being married together in first fill bourbon casks for a minimum twelve month period. The fresh bourbon finish brings a hint of sweetness whilst raising the intensity of the wood without taking away the distillery character of fruits, hints of sea spray and smoke. 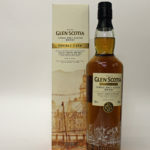 This Glen Scotia is finished in first-fill American Oak ex-Bourbon barrels and ex-Pedro Ximenez sherry casks. Nose - Amber. Very sweet. Initially it is all creme caramel, caramelised fruit sugars, wood sugar, toffee and fudge before some apple and peach come through. In time a charred note of bourbon with a pleasing dusty dryness. Has some power. Taste - Sweet start and quite fat and though the alcohol gives a little tongue-tingling buzz the result is a good mid-palate weight. The dry distillery character is there still, but there is now depth to counter. Water slightly dismantles the different elements, but adds some dried mint. Finish - Deep and dark.